You guys!!! 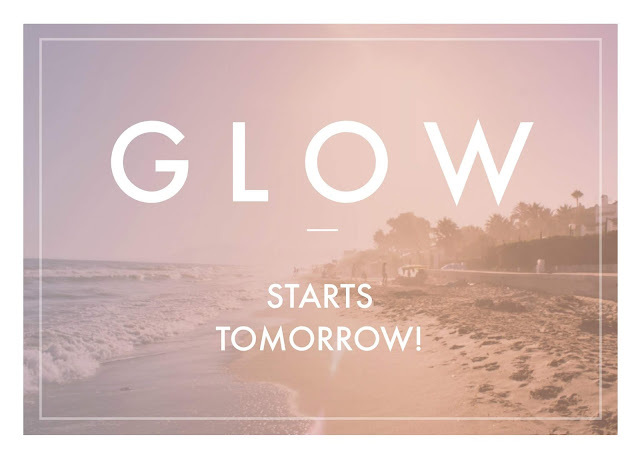 Glow starts tomorrow!! Glow is a group at Coastline for ladies in all ages and stages of life, a place to explore God’s Word and hopefully get some tools for our toolbox of life. I am so incredibly excited to “glow” in this way. This is where God has placed me and this is one way I glow. So no. No acronyms here. Glow means just that...glow. It came from a time where I really needed to name the growing group of women who were meeting every Tuesday, for announcements and calendar and staff’s sake. I really truly want to call it “sparkles and glitter forever”. RIGHT?! I just couldn’t land on anything. My husband had recently done a series of messages called Glow, all about being a city on a hill, a welcoming glow to weary travelers. Not a spotlight blinding people so they couldn’t see, but a light that led them to safety, to love, to home. A friend suggested that would be the perfect name for our group, and now you know the rest of the story. I don’t know what you may be starting / ending /continuing in the messy middle of this week. Maybe you’re in the awesome or hard or meh part of your life or marriage or ministry or parenting. 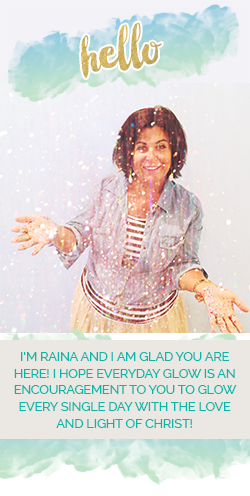 But wherever any of us are, we are called to glow. Be that steady light in the darkness. “You’re here to be light, bringing out the God-colors in the world.” Matthew 5:14. How beautiful is that?! Jesus says you bring out different shades of God here. You bring light. Different versions start the verse off with “You are...”. In a world that so often tells us what we are not, it is very comforting to hear Jesus say what we are. We are light. You are light. Be you this week. I’m gonna be over here lighting up what I can, but there are shadows and corners of darkness I need your light to shine on so that I can see God better. This is not hard or extra work or a mountain too tall to climb, as we (I!) so often view it. Its not working yourself up to something. It’s really just a willingness to walk closely with God, letting Him shine through you as you live and work and be a wife and mom and friend and neighbor. It’s your little kingdom on this earth being brighter because you are there and alive and shining. Lecrae has such a great lyric in a song called “preach”. Sums it all up, really. Yes. That’s how you know. Look at you shine. The darkness can feel so tangible at times, but look—there you are shining. Glowing. Must be God in you. So thanks for that. My world just got a little brighter because of you.